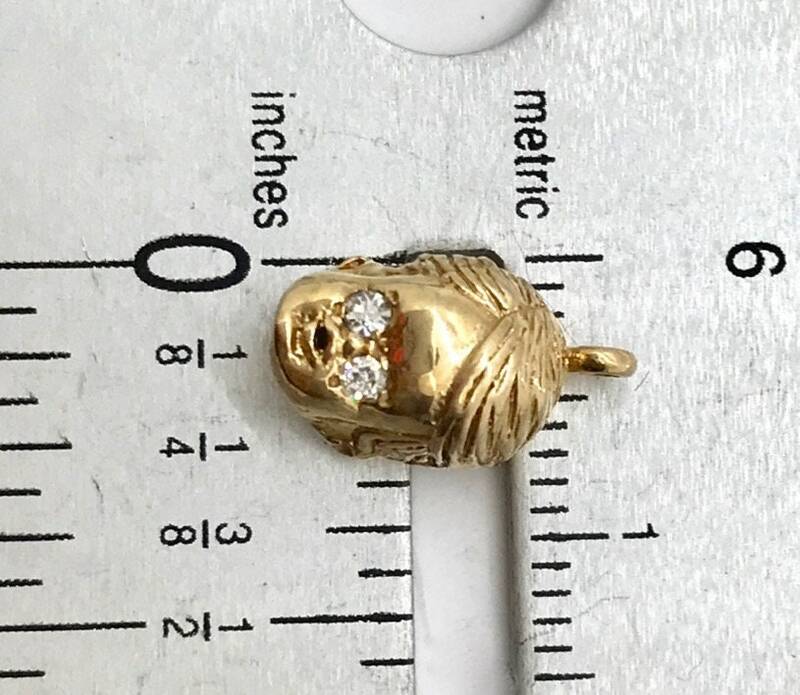 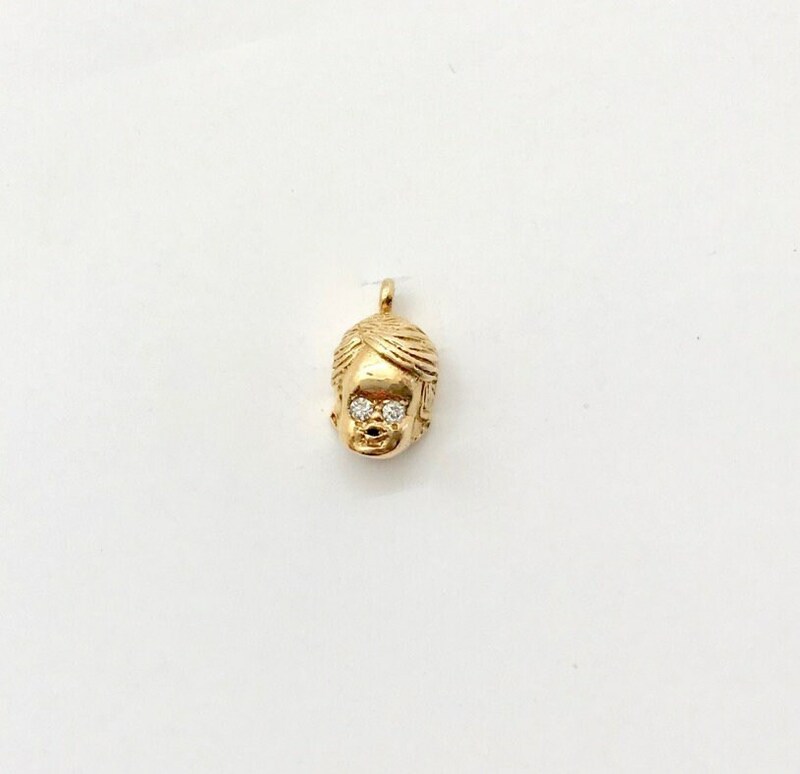 10 karat yellow gold little boy charm. 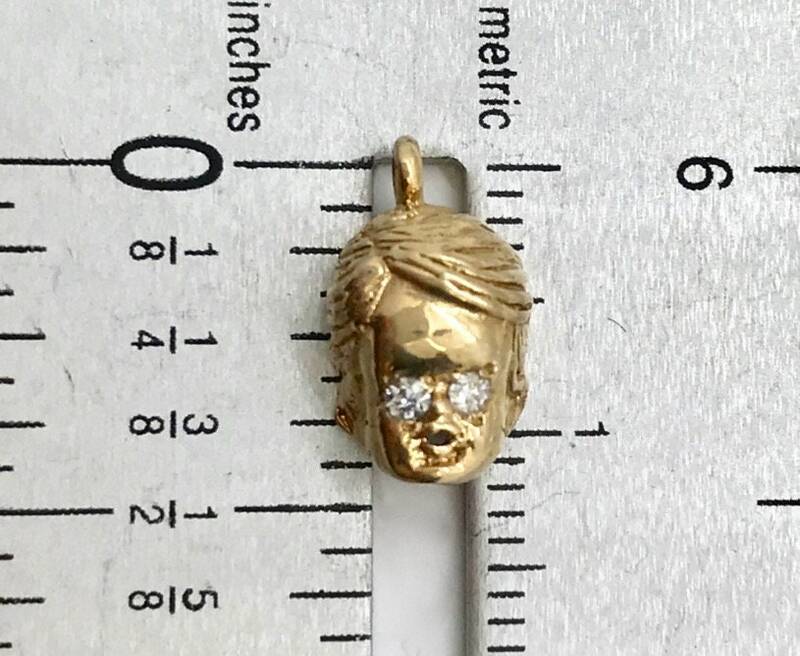 The charm is of a little boy's head and is set with single cut diamond eyes. 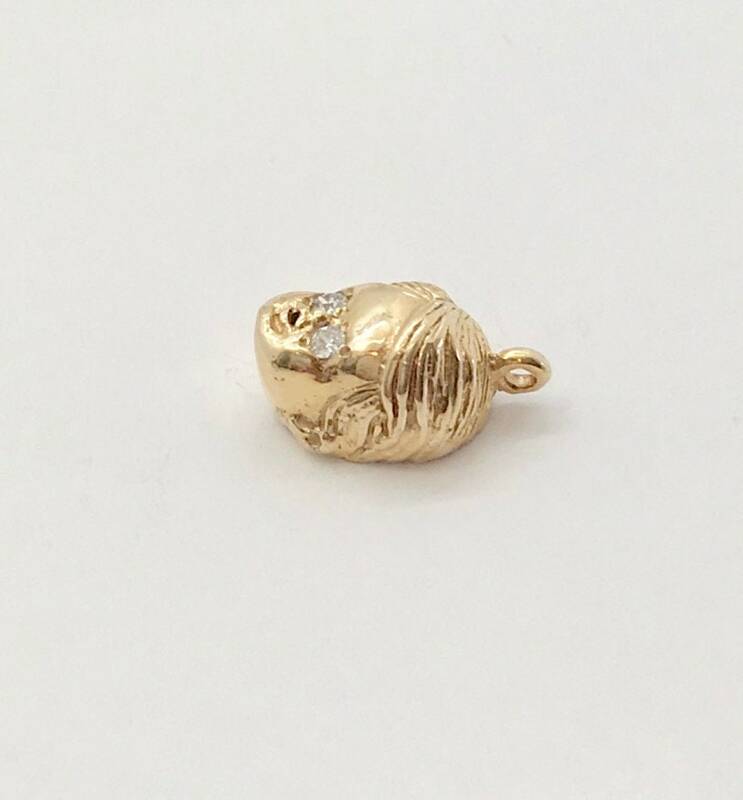 Each diamond weighs approximately 0.015 carats each. 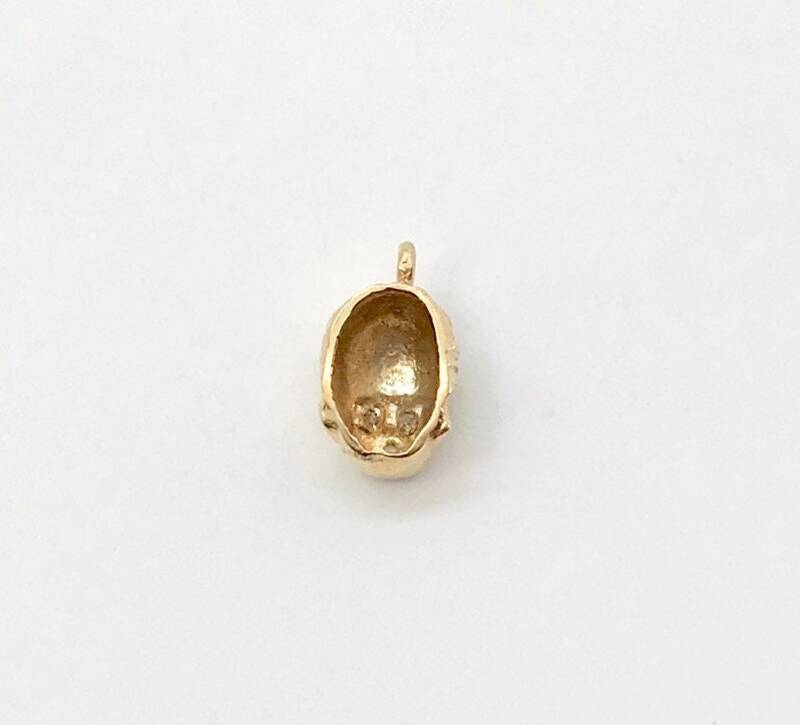 Perfect for a new mom or grandmother!